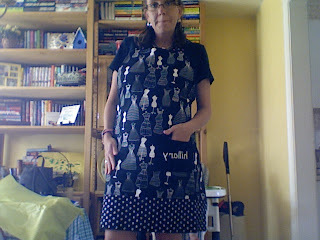 Hillary Chybinski: my new crafting apron. . .
my new crafting apron. . .
. . .a la the amazing donna downey. . .
of course i can't really craft in it - it might get dirty. . .
cool! good for you, missy!